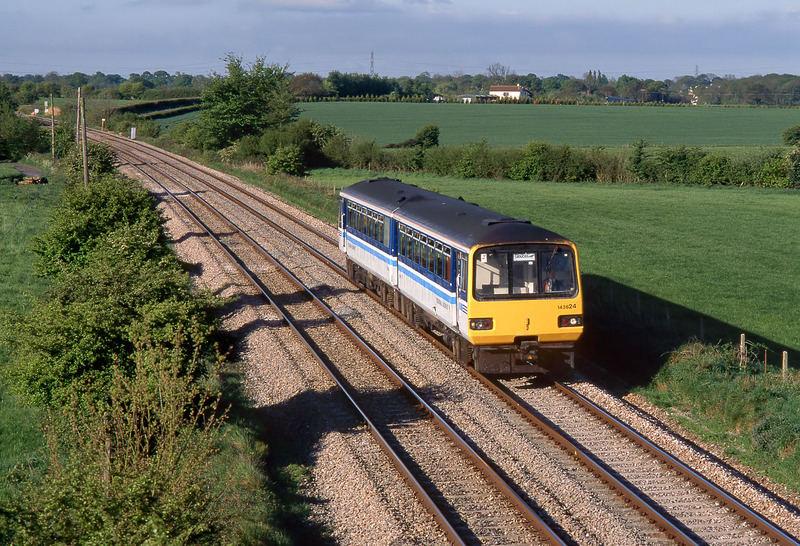 143624 bounces along past Rangeworthy on 8 May 1995 with the late running 07:28 Bristol Temple Meads to Gloucester Regional Railways service. Note that the last two digits of the unit number have been reapplied in a larger size. Quite why this is I'm not sure, as the unit doesn't appear to have been reformed, which is the usual reason for such mismatched numbers.